Yesterday, it started snowing in Southern Germany. Lots of snow. I haven’t seen this much since childhood. 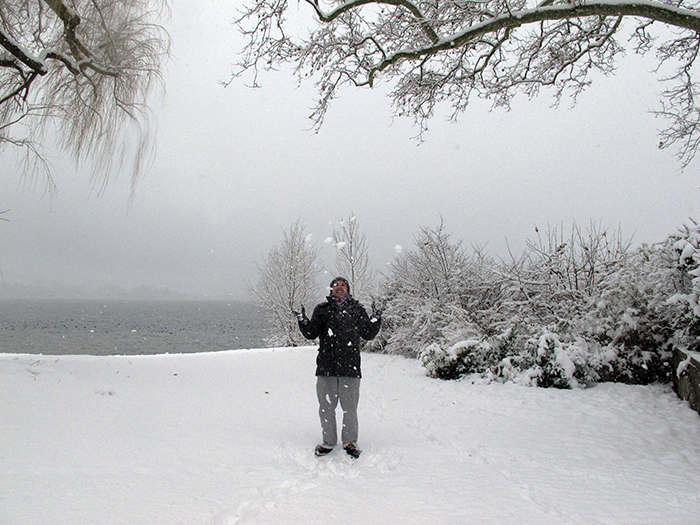 When I woke up, the world around our lake was covered in a blanket of fresh snow. 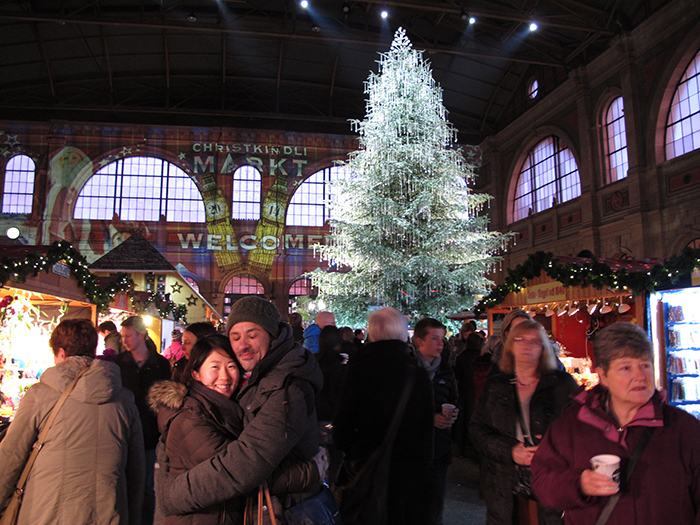 It was fantastic to walk through this winter-wonderland. I must admit, it got too cold pretty fast and I escaped indoors. But not before taking a few minutes to throw the white fluffy stuff around and delight at how the cold crystals tickled the skin on my neck. This entry was posted in Book, Inspiration, Memoirs, The Fortunate Nomad, Writing and tagged #book, #inspiration, #memoirs, #thefortunatenomad, #writing on December 28, 2014 by liamklenk. Just in time for the festive season, I have finished the remaining small corrections to my manuscript today. It is now truly ready to be sent out to agents and publishers around the planet. This entry was posted in Book, Inspiration, Memoirs, The Fortunate Nomad, Writing and tagged #book, #inspiration, #memoirs, #thefortunatenomad, #writing on December 24, 2014 by liamklenk. “I’m going to run off to an aquatic show in Macau, China!” I told my teammates in the Maldives in 2009 with a bright smile on my face. 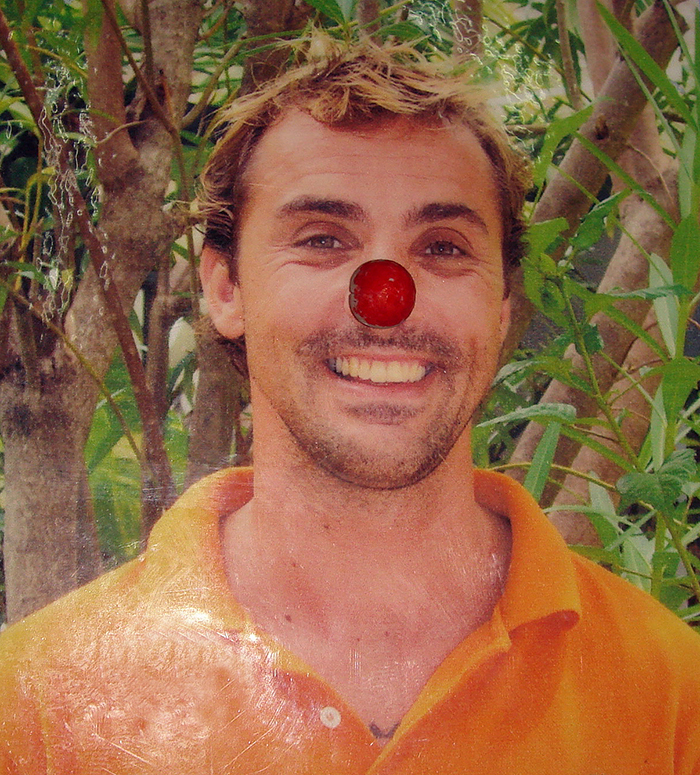 The next day, my staff picture in the dive center was lovingly decorated with this charming red clown’s nose. It’s been a hell of a ride since then. In no way negative, but definitely lots of ups and downs and what feels like an exponential learning curve. What will 2015 bring I wonder? More red noses? Or other adventures? This entry was posted in Book, Inspiration, Memoirs, The Fortunate Nomad, Writing and tagged #book, #inspiration, #memoirs, #thefortunatenomad, #writing on December 19, 2014 by liamklenk. It is done! As of tonight, my 5th draft is finished. All that remains for now is to read through the entire book one more time, do some minor cosmetics and check transitions between chapters. Then, just in time for Christmas, after fourteen months of continuous writing, my manuscript will be ready to be sent out to agents and publishers. Keep fingers crossed my dear friends! I’ll keep you posted of any new developments. This entry was posted in Book, Inspiration, Memoirs, The Fortunate Nomad, Writing and tagged #book, #inspiration, #memoirs, #thefortunatenomad, #writing on December 5, 2014 by liamklenk. I am only days away from finishing my 5th draft. For the moment, I am keeping my working title, ‘The Fortunate Nomad’. But I am seriously thinking of something more metaphorically connected to my story. I want my readers to envision aquatic environments rather than camels and desert. ‘The Blue Line’ seems a good option. Like a life-line, rivers, lakes, oceans, and pools have been with me every step of the way. Here a photo from the very beginning. 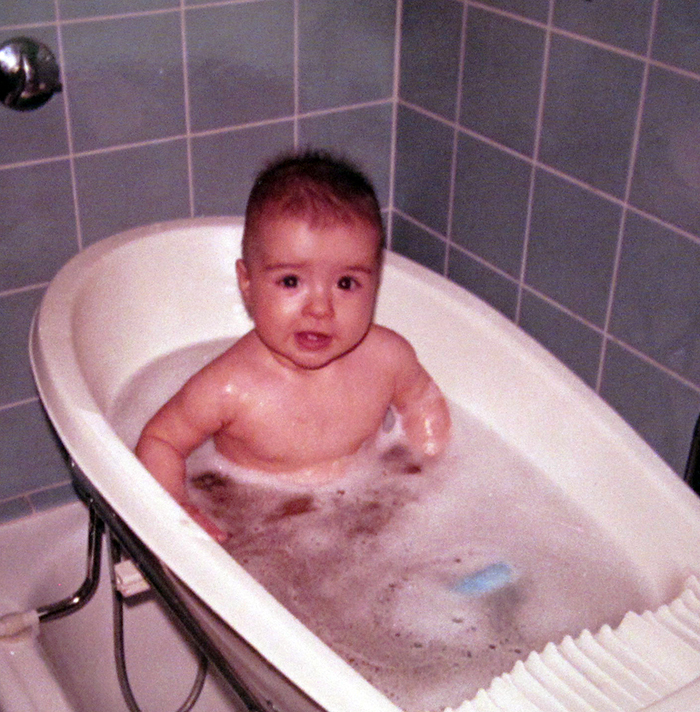 Even back then it was very difficult to get me out of the water. This entry was posted in Book, Inspiration, Memoirs, The Fortunate Nomad, Writing and tagged #book, #inspiration, #memoirs, #thefortunatenomad, #writing on December 1, 2014 by liamklenk.